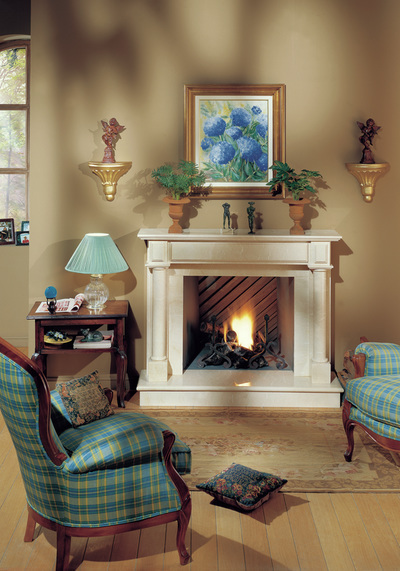 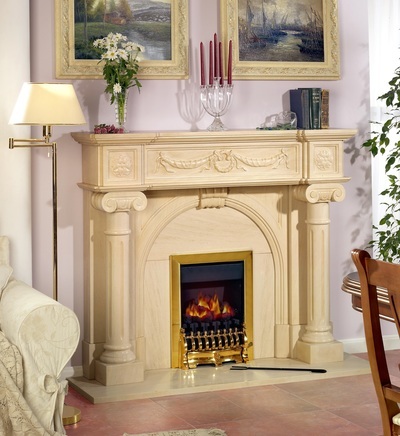 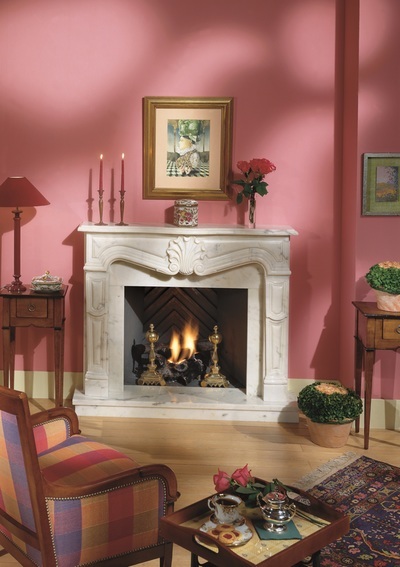 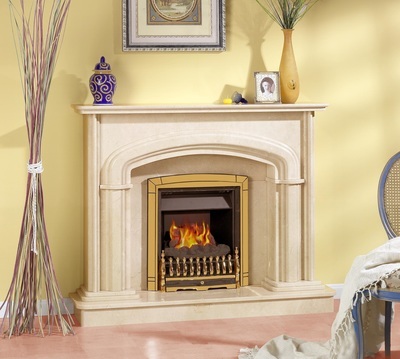 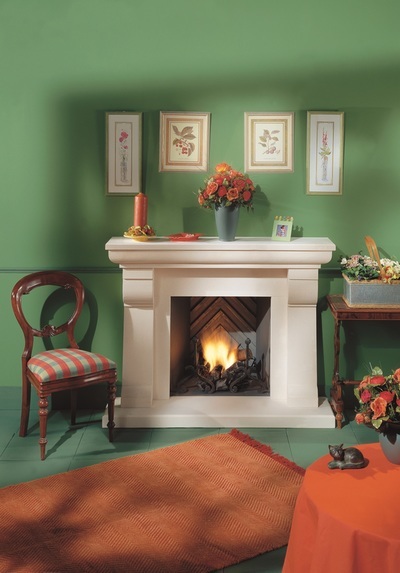 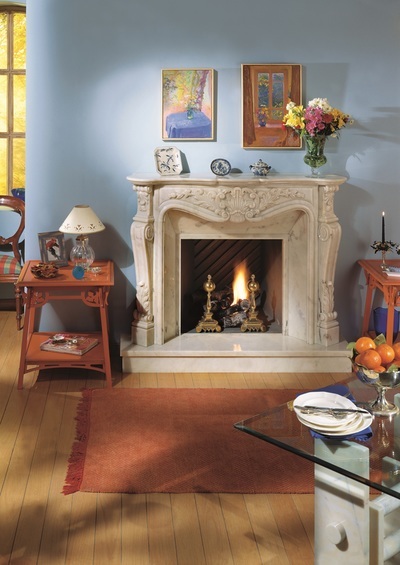 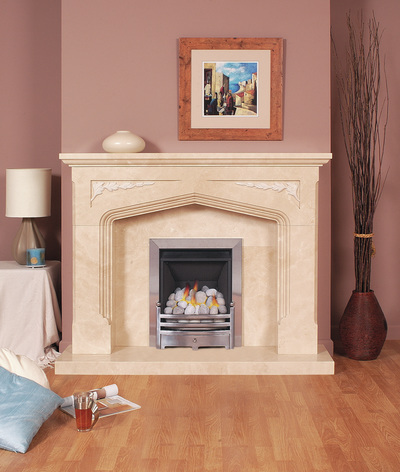 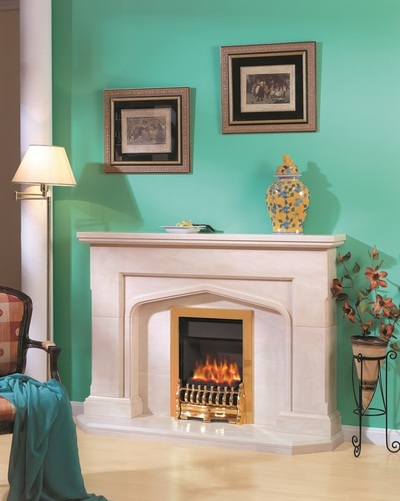 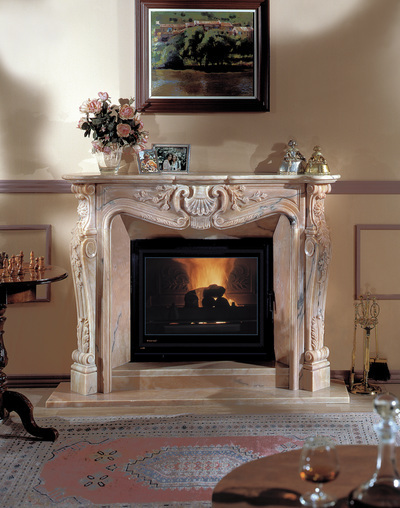 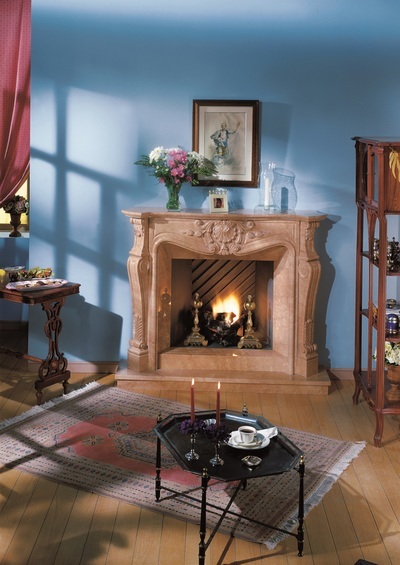 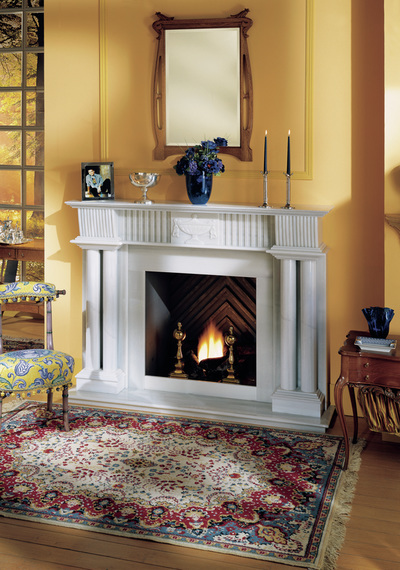 ﻿﻿These fireplaces are hand carved from solid stone and are simply stunning examples of solid stone fireplaces. 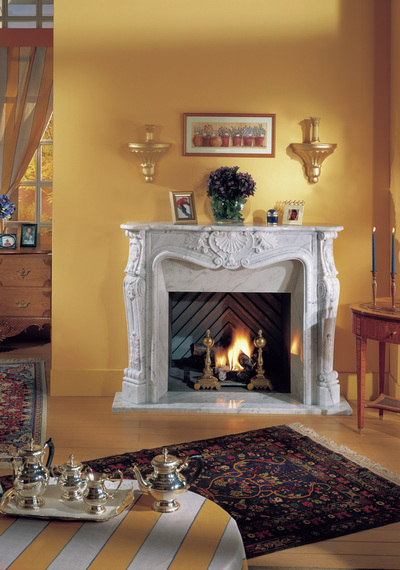 Each fireplace is manufactured in Southern Spain. 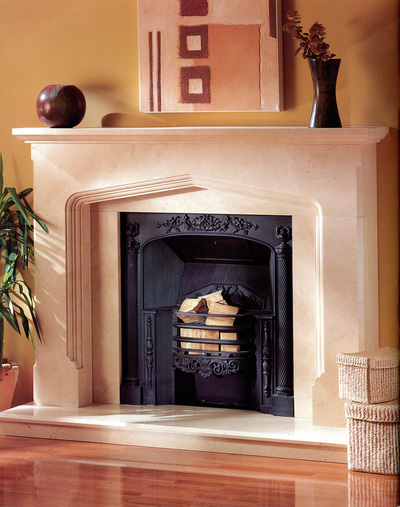 Whilst the ancient tradition of hand finishing and polishing is still carried on as an integral part of the manufacturing process, the CRUMAR factory also uses the most advanced modern technology to ensure that the finished fireplace is a feat of precision engineering in stone. 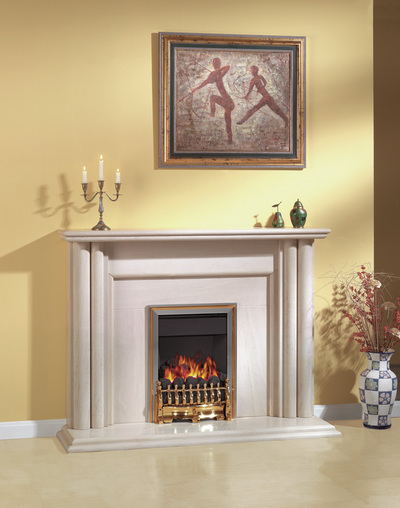 The exacting production standards mean that each fireplace can be traced back to the craftsman who created it & has resulted in the factory being awarded the International Quality Standard of ISO 9002. 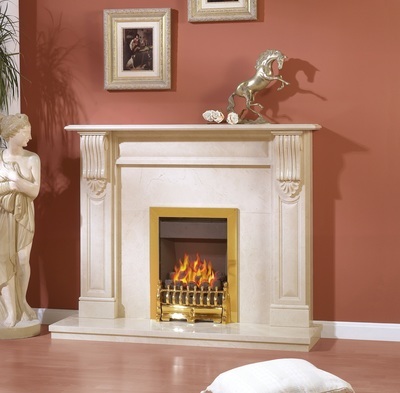 Most fireplaces can be manufactured in a range of natural marbles and limestones, but the most popular marble is a beautiful natural stone called "Crema Marfil". 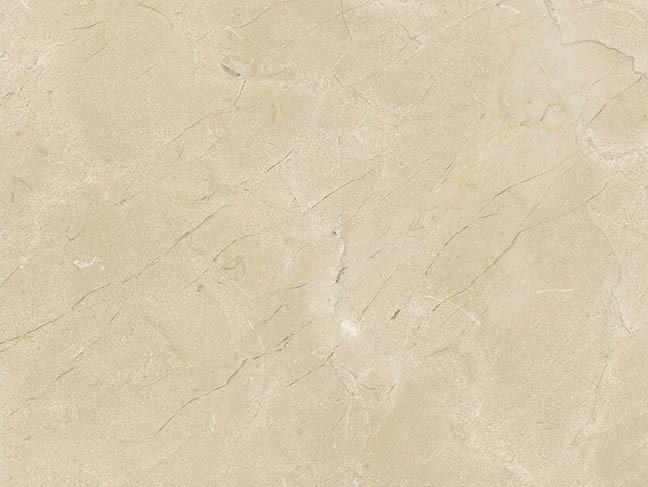 This natural stone obviously varies in colouring and characteristics between different batches, but the cream background with cinnamon coloured veining still remains one of the most sought after and alluring marbles in the world. 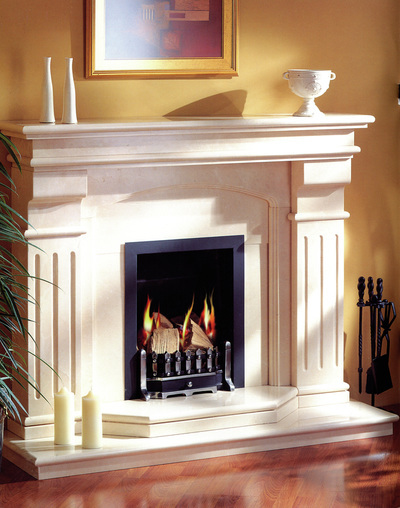 The majority of our fireplaces can be supplied in alternative colours - whether a micromarble, natural marble, natural granite or slate. 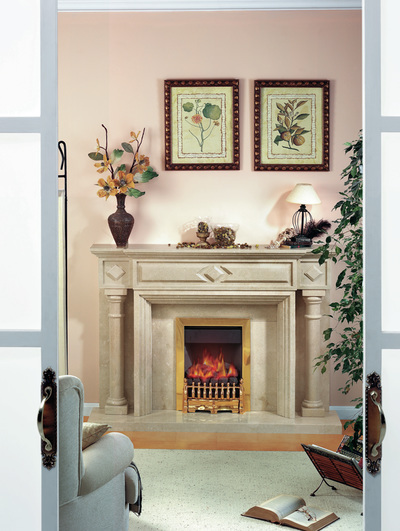 Please contact us or pay us a visit for other options not featured in this gallery. 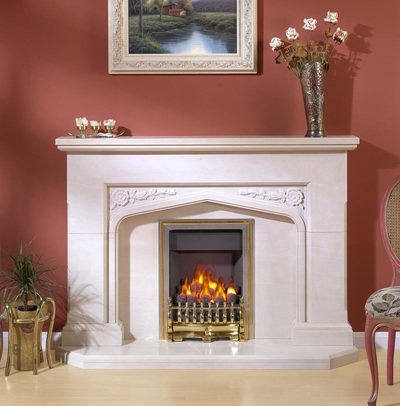 Hearth & back panel sets can be ordered on their own (without a full fireplace) for use with any timber mantle - again these can be made to specific sizes.